UA Freedom’s mission is to inspire and support our men and women in uniform. Proceeds go to help those who selflessly sacrifice to protect us each and every day. First responders, military personnel, law enforcement officers and veterans are recipients of this worthy cause. Patriotic graphic on the back portrays the American Bald Eagle, proudly displaying its wingspan in full, with “United States of America”. 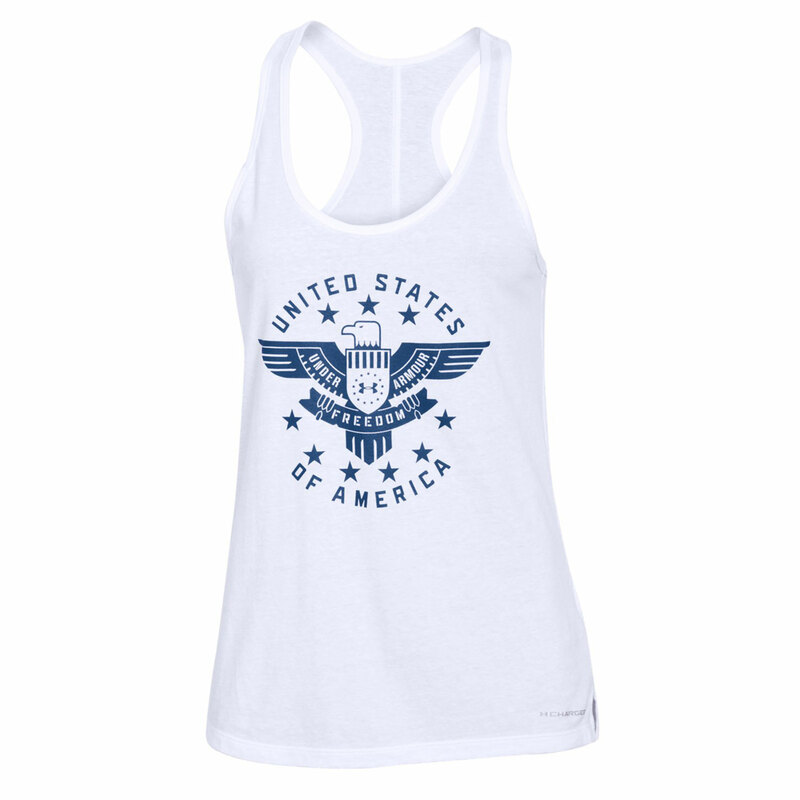 In this particular tank, you will appreciate the classic comfort of cotton with the added durability of polyester. Moisture management technology transports perspiration away from the skin, so the fabric dries much faster than ordinary cotton. Plus, the stretch styling of this garment gives you a fuller range of motion in any direction. Anti-odor technology keeps embarrassing odors at bay for confident all-day wear.